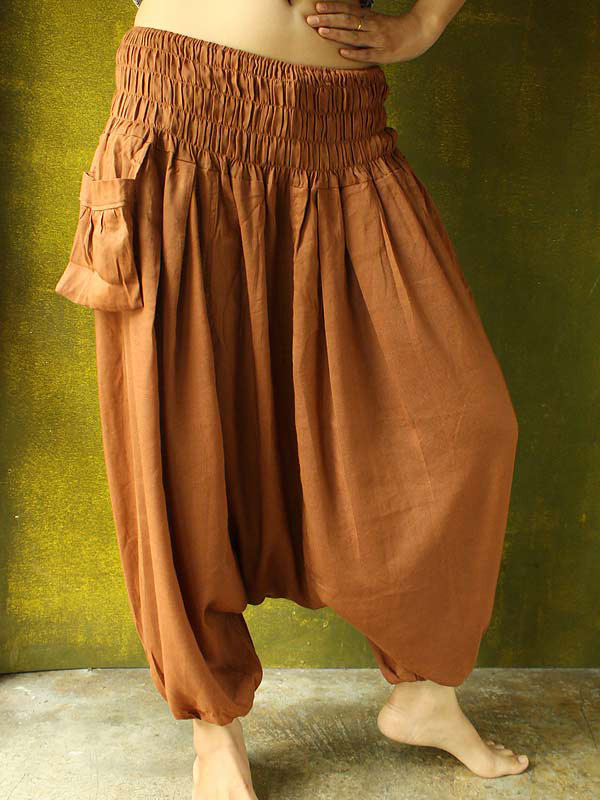 The Eastern Serenity laboratory took the Kashmiri pants to another level. The 50% cotton/rayon mix drapes smoother and allows as much formality as can be expected. Softer, more forgiving elastic is used in layers from waist to hip to add a shaping effect. The bottoms are again secured with soft elastic but this time we have a velcro secured pocket. Wear it with your diamonds to the premiere! I've been buying Paris Pants since I discovered them at the Santa Fe Store about 10 years ago. Every summer I buy 2 black and one in each available color. I wear them until they are in rags. 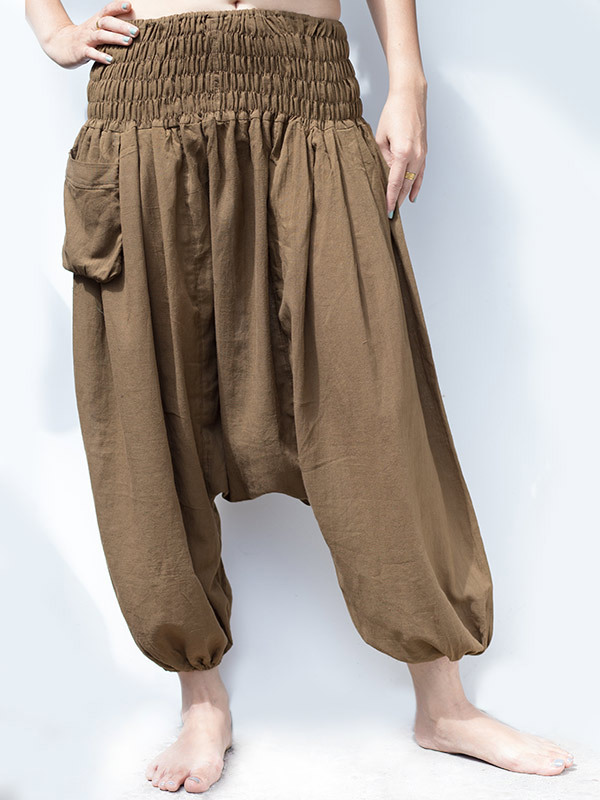 I loved these, unfortunately so did my electrician, so when the bill came he said he wanted my britches. I was impressed , so I gave to him and I am so happy you still have them .very comfy. They are nice and lightweight...;perfect for the Spring/Summer months and they are very durable and comfortable. Glad I bought a pair in each color. Just curious though, the description mentions that the pockets have a velcro closure and on the pants I received, the velcro closure is NOT there...can you help me out? I bought a pair of these several summers back, and I wore them so much I wore them out! I used them at the beach as a cool and comfortable coverup as well as at home with a cute t-shirt to go to dinner. They are so flattering and comfortable. I'm very happy to see ES offers a tall size in them now. They will fit me even better! Fit well, easy care! Love them! Hoping to get another pair in a different color!